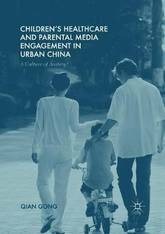 Children's Healthcare and Parental Media Engagement in Urban China: A Culture of Anxiety? This book analyses parental anxieties about their children's healthcare issues in urban China, engaging with wider theoretical debates about modernity, risk and anxiety. It examines the broader social, cultural and historical contexts of parental anxiety by analysing a series of socio-economic changes and population policy changes in post-reform China that contextualise parental experiences. Drawing on Wilkinson's (2001) conceptualisation linking individual's risk consciousness to anxiety, this book analyses the situated risk experiences of parents' and grandparents', looking particularly into their engagement with various types of media. It studies the representations of health issues and health-related risks in a parenting magazine, popular newspapers, commercial advertising and new media, as well as parents' and grandparents' engagement with and response to these media representations. By investigating `a culture of anxiety' among parents and grandparents in contemporary China, this book seeks to add to the scholarship of contemporary parenthood in a non- Western context. Get all the strategies and guidance you need successfully implement conceptual learning with Mastering Concept-Based Teaching, 2nd Edition. Written specifically for nursing faculty, renowned educators Dr. Jean Foret Giddens, Dr. Linda Caputi, and Dr. Beth Rodgers walk you through the background and benefits of using a concept-based learning approach; how to plan, develop, and deliver an effective concept-based course; and how to improve and evaluate student learning with concepts. This new second edition also features two new chapters - one on how to conduct concept-based clinical experiences and another chapter on the future of concept-based interprofessional learning. You'll also find updated content, more of the highly helpful Misconceptions and Clarifications boxes, and a more streamlined design with added color and larger type. 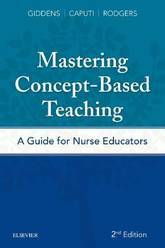 So whether you're teaching in an LPN, ADN, BSN, or MSN program, this insightful book is here to ensure a smooth execution concept-based teaching. 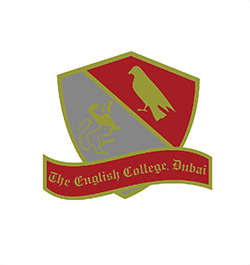 Framework for developing a concept-based curriculum provides guidance throughout the general steps associated with developing a CBC. Strong foundation in how to teach within a concept-based curriculum dives into the nature of concepts, their function in the process of learning, and the importance of being consistent in the selection and implementation of concepts. Balanced teaching strategies illustrate ways to enhance the conceptual approach through engaging learning activities and an open environment. Success evaluation criteria explains the importance of analyzing evaluation data to determine the effectiveness of a new curriculum on meeting program learning outcomes. NEW! Updated content reflects the latest research in the neuroscience of learning, insightful illustrations, and best practices in concept-based curriculum design and instruction. NEW! Expanded use of Misconceptions and Clarifications boxes also reflects the latest research in conceptual learning to help clarify important concepts. NEW! Added color improves teaching and learning value. UNIQUE! 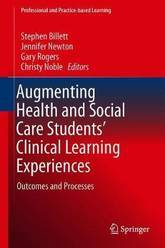 New chapter on concept-based clinical experiences includes simulation and lab experiences, live clinical experiences, and clinical learning activities for inpatient, outpatient, community, and health systems-level experiences. UNIQUE! New chapter on thinking conceptually and the future of concept-based interprofessional learning covers both the ways CBC is spreading beyond just nursing and how to encourage faculty to shift their thinking to develop reasoning and critical thinking skills in students versus rote learning of content. The perfect pocket guide. This quick-reference tool has what you need to select the appropriate diagnosis to plan your patients care effectively. The 15th Edition features all the latest nursing diagnoses and updated interventions. A laminated 'pocket minder' bookmark makes diagnosis even easier. 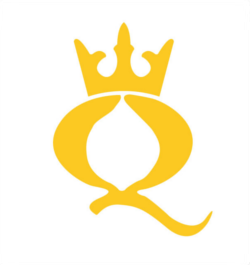 Actions/interventions uniquely organized by priority with selected rationales Icons within the prioritized interventions for acute care, collaboration, community/home care/cultural considerations, diagnostic studies, medications, and lifespan considerations. Defining characteristics presented subjectively and objectively. Documentation section that focuses on the other steps of the nursing process, reminding students of the importance and necessity of recording each step. NIC and NOC labels at the end of each diagnosis Index with hundreds of diseases/disorders with prioritized associated nursing diagnoses. 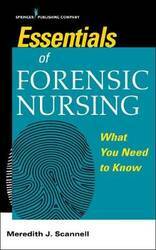 This is a succinct yet comprehensive guide to the rapidly expanding specialty of forensics nursing. Exploring the forensic nurse's role in the gamut of patient care settings, the book is distinguished by its easy-to-read content comprised of bulleted lists, tables, and figures; short chapters; and convenient pocket size. This up-to-date, evidence-based resource addresses all facets of forensics nursing, including legal and ethical issues, conducting interviews, trauma-informed care, delivering expert testimony, documenting injuries, and collecting and preserving evidentiary substances for Medico-Legal purposes. The book encompasses the wide range of injury and assault cases requiring the collection of forensic evidence in preparation for a legal case. This includes different types of sexual assault and violence, child maltreatment, elder maltreatment, bullying, interpersonal violence, gunshot wounds, community violence, human trafficking, terrorist acts, and mass disasters. With supporting case scenarios, the book describes step-by-step how to collect evidence and the proper procedure for handing over evidence once it is collected. Also included are verbatim descriptions of actual experiences forensic nurses have had while testifying. This book was originally published under the Fast Facts series by Springer Publishing Company. Dosage calculations can be intimidating, but they don't need to be. 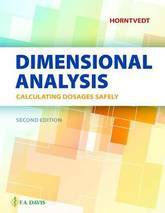 Dimensional analysis is an easy, systematic approach that shows you how to master simple to complex calculations with consistency and accuracy and reduce medication errors with simple safety mechanisms. 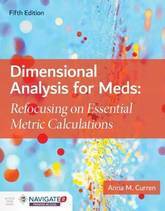 Dimensional analysis, which can be used on virtually every dosage calculation problem, eliminates the need to use other methods or perform lengthy, multi-step calculations. It's a method of problem-solving that organizes data in a manner that is easy to understand and apply. Focus on patient safety. Learning models, including the 4 Cs approach to dosage calculations: compute, convert, conceptualize, and critically evaluate. 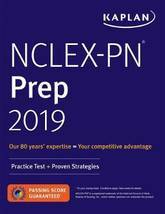 Over 1,000 practice problems throughout the book, including basic skills pre-test; end-of-section practice tests in each chapter; end-of-unit assessment tests; and end-of-book post-test. 18 Speed Challenge chapter quizzes online to increase speed and accuracy. Real-life scenarios that illustrate how to apply concepts to practice. Note and Alert boxes that highlight potential safety issues to keep in mind when calculating math problems. A glossary of key terms at the beginning of each chapter. Traditionally, nursing is acknowledged as a caring profession and is associated with advocating for others. 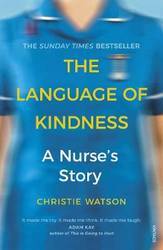 However, incivility is increasingly occurring amongst nurses, both in the clinical and academic environments, and is causing affected nurses both psychological and physical harm. 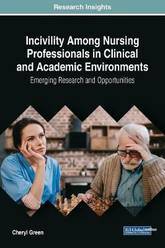 Incivility Among Nursing Professionals in Clinical and Academic Environments: Emerging Research and Opportunities provides emerging views and consequences surrounding workplace bullying in the healthcare profession including recognizing the signs and symptoms of incivility in the workplace, identifying ways in which affected nurses can seek help, and examining healthy methods of coping with the incivility. 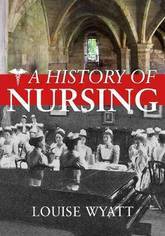 Featuring coverage on a broad range of topics such as human resources, therapy, and clinical nursing, this book is ideally designed for nurses, managers, healthcare workers and consumers, hospital and clinical staff, researchers, students, and policymakers. The Primary Care text, online case studies, and Davis Edge online quizzing work together to create an interactive learning solution that helps prepare students for their roles as Advanced Practice Nurses in the primary care setting. An access code inside new, printed texts unlocks Davis Edge, including online case studies and an ebook powered by VitalSource. This is the premier reference for APNs providing primary care. 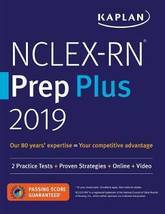 Written by nurse practitioners for nurse practitioners in collaboration with a physician, this popular text is unique to the Advanced Practice Nurse's role. 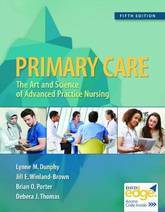 It offers a solid understanding of the theoretical foundation of everything Primary Care. Its comprehensive and easy-to-follow presentation examines the diagnosis and treatment of diseases and disorders of every body system across the life span. Online case studies feature real-world scenarios that provide the practical application that enables students to further develop their clinical decision-making skills as they learn how to properly diagnose and treat the patients they will see in the primary care setting. Over 1,000 board-style practice questions written for Primary Care test student's knowledge and retention of what they are learning in the book. For instructors, it provides the real-time information they need to monitor, track, and assess their class' vital signs - their students' mastery of the content and their critical-thinking and decision-making skills. 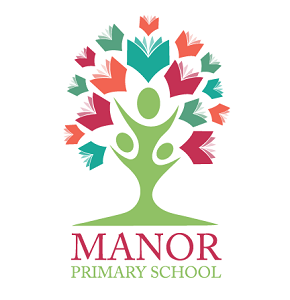 They'll be able to easily identify the areas in which students are struggling and intervene quickly in class and on assignments to ensure that they succeed. This up-to-date book is a synthesis of current knowledge from published sources and expert consultants relating to three commonly occurring problems in home health care practice--self-administration of medications, family caregiving issues, and teaching the elderly. 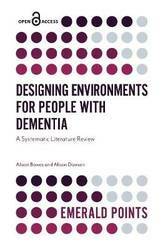 For each problem addressed, assessment guides and interventions are outlined, making this book an invaluable resource for professionals, researchers, and agencies concerned with providing top-quality care for the elderly. Home health care agencies can use the guide for orientation of new staff and inservice education for current staff. Home health care staff can use many of the assessment guides and resource lists in their work with clients. 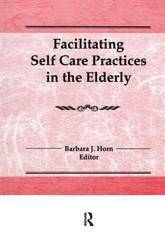 Facilitating Self Care Practices in the Elderly can also serve as a basis for standard development. Researchers interested in these clinical problems will find that the literature review and synthesis will facilitate the development of the theoretical underpinning for their research. Educators will find the book helpful in courses and as a basis for curriculum development. 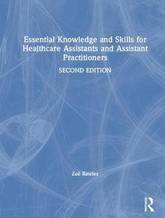 This fully updated and revised edition of Essential Knowledge and Skills for Healthcare Assistants and Assistant Practitioners is a practical and comprehensive text designed to equip you with the necessary clinical skills for your profession. This book: * equips you with the knowledge to provide the safest and most effective patient care possible; * provides evidence-based guidelines to ensure best practice that is matched to the National Occupational Standards and the Care Certificate; * includes new chapters on administering injections, ear irrigation and examining the feet of people with diabetes, and an entirely rewritten chapter on protocols; * addresses the evolving role of the healthcare assistant and training opportunities; * supplies comprehensive coverage of both primary and secondary care settings, with an emphasis on primary care; * covers accountability, communication skills, confidentiality and reflection; and * uses a light-hearted and accessible style, with definitions, case studies and activities to aid understanding. 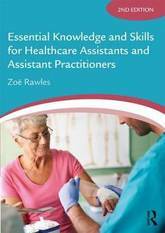 This is an indispensable guide for all those training as healthcare assistants and assistant practitioners, and an introductory textbook for students embarking on nursing and health and social care programmes. While medical schools usually emphasize the teaching of advanced scientific fundamentals through a carefully planned, formal curriculum, few focus on the equally crucial hidden curriculum of professional attitudes, skills, and behaviors. This concise and practical guide helps teachers effectively prepare students for seldom-taught issues that arise daily in the practice of clinical medicine. In this volume, experienced clinician-educators offer real-world examples of various pedagogical and clinical scenarios, providing evidence- and theory-based approaches to managing them. They discuss topics including courage, humility, and empathy in medicine; failure and burnout; graceful self-promotion; positive role modeling; work ethics and attitudes; bedside manner; ethical and legal challenges in the era of electronic health records; and controversial subjects?such as gun ownership and abortion?and how to address them. Chapters also recommend ways to promote a culture of wellbeing in the learning environment, including strategies for dealing with microaggressions on female and minority students and faculty. This volume is a valuable resource for frontline educators who wish to help learners navigate the transition from layperson to medical professional. 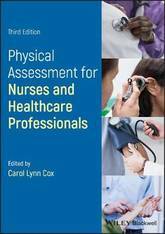 Physical Assessment for Nurses and Healthcare Professionals offers a practical and comprehensive guide to best clinical practice when taking patient history and physical examination. This accessible text is structured in accordance with the competencies for advanced practice in assessment, diagnosis and treatment as published by the RCN. Following a systematic, systems-based approach to patient assessment, it includes a summary of the key clinical skills needed to develop and improve clinical examination in order to confidently assess, diagnose, plan and provide outstanding care. 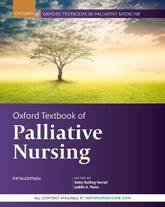 In this revised edition, colour photographs and case studies have been included to assist health care practitioners in their assessment of the patient. This important guide: Includes a highly visual colour presentation with photographs and illustrations Features a wide range of key learning points to help guide practice Offers illustrative examples, applications to practice and case studies Written for health care students, newly qualified and advanced nurse practitioners, and those in the allied health professions, Physical Assessment for Nurses and Healthcare Professionals is the essential guide for developing the skills needed to accurately access patient history and physical examination. 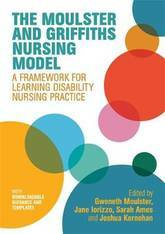 The Moulster and Griffiths nursing model is the first developed specifically for learning disability nurses. 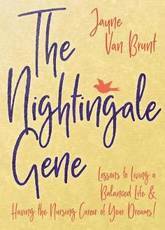 This book describes the model and offers a solid framework to assess, plan, reflect on and evaluate person-centred care. With approximately 1.5 million people in Britain living with a learning disability and a proven correlation between the use of models of care and the achievements of outcomes for those supported, this book is the perfect tool for learning disability nurses. It ensures that there is a shared vision for learning disability nursing practice, and helps nurses address a wide variety of heath care needs. 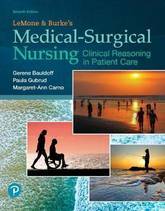 By providing an in-depth description of the model, the book provides a dedicated structure for learning disability nursing, and remains unique in its transferability to different clinical settings. 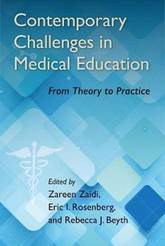 This edited volume offers a range of insights about, practices of and findings associated with enrichening health and social care students' learning by their engagement in educational processes during and after the completion of their practicum experiences in health and social care settings. That is, using post-practicum intervention to augment and enrich those learning experiences. The collected contributions here draw on the processes of trialing and evaluating educational processes that aimed to enrich those practicum experiences for purposes of improving students' understandings, abilities to address patients' needs, and health and social care related dispositions. These processes and findings from these processes across medical, nursing, midwifery, physiotherapy, pharmacy, exercise physiology, dietetic and speech pathology education speak directly to educators in both clinical and educational settings in the health and social care sectors. These messages, which arise from educators and clinicians enacting and evaluating these interventions, offer practical suggestions as well as conceptual advances. 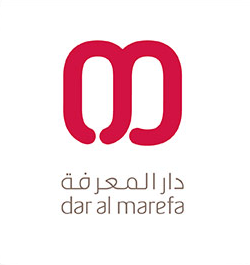 The reach of the accounts of processes, findings and evaluations is not restricted to this sector alone, however. The lessons provided through this edited volume are intended to inform how post-practicum interventions might be enacted across a range of occupational fields. 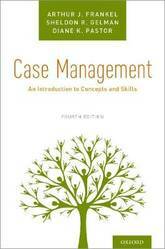 Over the course of 20 years, this text has approached case management as both an art and a science by providing students and practitioners with the basics of case management theory, skills, and applications. 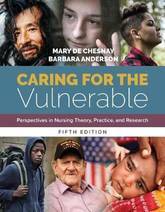 This fourth edition, which focuses on both the social work and nursing professions, offers trainers, instructors, and students detailed information about how case management is delivered, major issues encountered in practice, how services are affected by different populations, and the unique skills that are required by case managers in order to be effective. Chapter exercises and case examples help readers practice some of the skills associated with the content offered. Case Management is unique in that it brings together the major professions that conduct case management in the United States. It is focused on skill learning more than theory, and discusses not only the importance of case management in the current social work and medical milieu, but also the challenges that case managers face in helping clients. Additionally, the text offers a model for integrated case management between professions and in numerous settings, including nursing centers, community mental health facilities, and criminal justice centers. 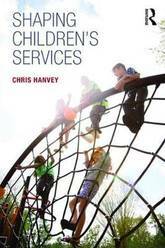 This text is an authoritative analysis of current services for children and young people in the UK. Drawing upon European-wide data, this innovative book critiques the policies that have shaped today's services, argues that the current system is insufficiently joined-up and outlines a radical new model of co-located services for the integrated delivery of children's care. Shaping Children's Services: examines key indicators of children's development; provides a breakdown of the economics of caring for children; explores the way government initiatives such as Sure Start, Extended Schools, Total Place and the Kennedy review of children's health have shaped current policies; charts the key twentieth-century developments of child welfare across health, education and social care and looks at the inter-relationships between health, social care, police, education and the voluntary sector; presents both good and failing examples of children's services. Offering a thoughtful and provocative challenge on how the present system can be better configured to meet the needs of children and young people, this book is an essential read for all those involved in working with children from a range of fields, including health, education, social care, juvenile justice and voluntary sector services. This pocket-sized, quick reference is your go-to guide for the precise yet comprehensive clinical information you need to care for adult patients safely and effectively. Completely revised and updated, you'll find even more of what you need at a moment's notice, including coverage of rebreathing masks, cardiac surgeries, traumatic brain and head injuries, MRSA prevention and treatment guidelines, and much more. Write-on, wipe-off, reusable pages make it easy to take notes in any setting! 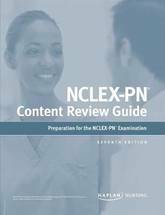 Quick-reference coverage of must-know concepts, skills, and procedures to ensure safe patient care. Consistent presentation by body system of 95 commonly-encountered diseases/conditions as well as multiple system failure, trauma, and burns. Definition of disease or condition underlying pathophysiology. Clinical presentation (signs/symptoms). Diagnostic tests and arrhythmia strips (where applicable). 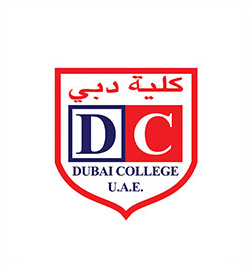 Management of clinical condition. Information on 40 medications specific to critical care. Coverage of multiple system failure, trauma, and burns. Handy tools, including a guide to abbreviations. ECG record, form for phone numbers/community resources. Spanish and non-verbal communication tools, and index for quick reference. Write-on, wipe-off, reusable pages with full-colour illustrations. 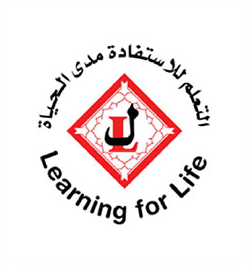 For courses in medical-surgical nursing. The novice nurse's guide to whole-patient care LeMone and Burke's Medical-Surgical Nursing: Clinical Reasoning in Patient Care offers the skills and knowledge needed to provide safe, evidence-based care for the diseases and disorders the new nurse will most likely encounter, based on incidence and prevalence data. The theme is that patient care should address the whole person, not just the malfunction of body systems. Rather than memorize medical conditions, readers build the clinical reasoning skills they need to safely perform simple to complex tasks. The 7th edition has a new section on transitions of care and a new chapter linking sleep and health. It is now organized with a more consistent chapter structure for easier navigation. Also available with MyLab Nursing By combining trusted author content with digital tools and a flexible platform, MyLab personalizes the learning experience and improves results for each student. MyLab Nursing helps students master key concepts, prepare for success on the NCLEX-RN(R) exam, and develop clinical reasoning skills. Note: You are purchasing a standalone product; MyLab Nursing does not come packaged with this content. 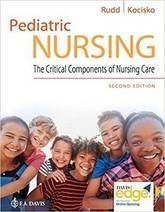 Students, if interested in purchasing this title with MyLab Nursing, ask your instructor to confirm the correct package ISBN and Course ID. Instructors, contact your Pearson representative for more information.